According to one doctor’s report, despite dramatic improvements in car safety features, better legislation to prevent accidents, and more attention to infrastructure and to the structural integrity of highways, fewer researchers have studied how to help car accident survivors psychologically recover following an accident. Yet, according to one PTSD doctor, more physicians are trained regarding the possible psychological impact that car accidents can have on victims and their families. It can be difficult to predict how one will react psychologically to a car accident. Some people walk away unscathed emotionally, while others develop phobias, PTSD, and other stress reactions. It can be hard to know who will be affected and who will be okay. For this reason, it is important for car accident survivors to get the care that they need and deserve. Speaking to your doctor, your personal injury lawyer in Miami, and using community resources, can help you get well and stay well after you’ve survived the traumatic experience of a crash. Practice gratitude. While it may seem challenging to find things to be thankful for in the aftermath of a crash, gratitude releases dopamine and serotonin—the same neurotransmitter that Prozac helps release. Researchers have found that even when people cannot find things to be grateful for, considering even the question can boost mood. Identify and name negative emotions. It can be difficult to express sorrow in our fast-paced, happiness-seeking society. People are expected to push on. Yet, taking the time to name and express sorrow, anger, and other “negative” emotions can actually have long-term positive effects on overall happiness. Individuals who suppressed emotions were sadder and less effective at their jobs. So, take the time to journal, find a support group, or just pause and name the emotions when they are present. Take action. Researchers have found that making a decision, even if you’re not totally sure it’s the best decision, can have a huge impact on happiness. Victims of car accidents often face complex decisions. Should they settle or take a personal injury lawsuit to court? Which car accident attorney should they select to handle their case? Is the offer being made by an insurance adjuster a fair one? Car accident victims are wise to gather information, get expert advice, and then make decisions. Get help. Speak to your personal injury attorney. Find a skilled counselor. Talk to loved ones and friends. Get hugs. A strong social and community network makes it more likely that accident victims will be happier and be more likely to overcome the emotional challenges they face following a car accident. If you’ve been injured in a car accident it is important to get help. The Wolfson Law Firm, L.L.P. 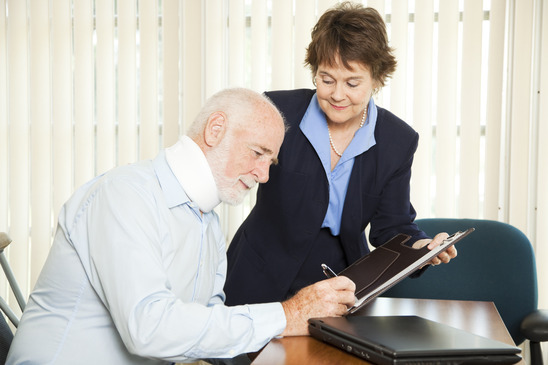 are personal injury attorneys in Miami, Florida who can assist you.